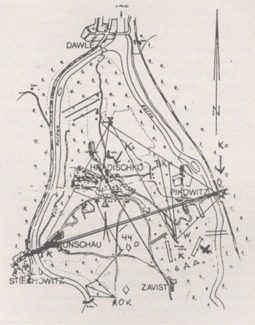 The area, limited by the two rivers Vltava and Sázava, and a line drawn from Poříčí nad Sázavou through Benešov, Bystřice, Vrchotovy Janovice, Sedlčany to the river Vltava, was evacuated during the Second World War to serve as a training ground for the SS weapons with the headquarters in Benešov. 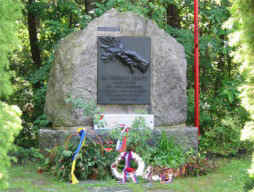 A Pionierschule SS was founded directly in Hradištko and Emil Klein came there in September 1942 as a temporary commander. Later he was appointed a commander with the title SS-Obersturmbanführer. 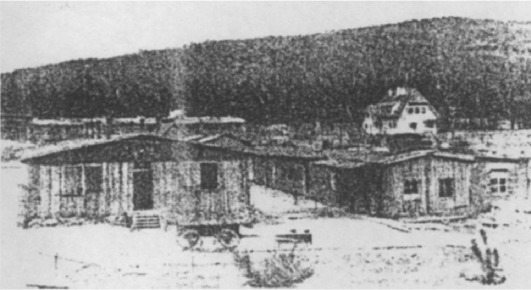 In 1943 Germans founded “branch concentration camp” of the camp in Flossenburg. In the country around Hradištko there used to be many medieval tunnels, the remnants of gold mining, and the new underground works were made as a part of preparation activities of SS pioneers or as a cache for war industry products (Mednik, railway tunnels). 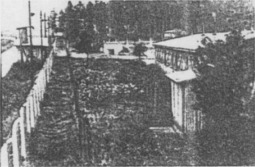 The SS pioneers disposed of chemical called Lixzyn-Apullen that can produce fiery glow and to join concrete with natural rock in a way that it is impossible to recognise the place from nature creation. The entire area had been quiet until the very end of the War, there were no witnesses and Germans had the necessary technology there as well as the work force and appropriate underground cashes. 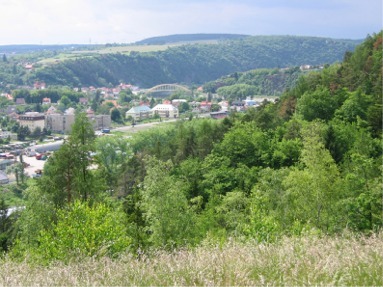 The treasure of Štěchovice got its name after the larger and better known neighbouring village Štěchovice, which shall celebrate its 800 years of existence in 2005. This little town is on the other bank of river Vltava and it had its normal life as elsewhere during the Protectorate period. The geographic sign is the only common trait with the Archives and Treasure.